The 375th Bombardment Squadron is an inactive United States Air Force unit. Its last assignment was with 308th Bombardment Wing stationed at Plattsburgh Air Force Base, New York. "King's X" B-24J-170-CO Liberator 44-40584 Photographed over China on September 16, 1944. Activated in early 1942 in Idaho as a long-range B-24 Liberator bombardment squadron under Second Air Force. For the next three months little training occurred while the unit worked through its growing pains, resolving administrative and personnel acquisition difficulties. Then a totally new problem arose....all but four personnel were transferred to the 330th Bombardment Group! While active on paper, it was not until September that personnel were taken from the 39th Bombardment Group to form a headquarters cadre for the 308th Group, again making it a viable unit. On 29 September the squadron was designated an Operational Training Unit (OTU) with Wendover Field, Utah as its home station. The unit was fully manned by November, after receiving personnel from the 18th Replacement Wing. Members of the 375th had to complete three phases of training prior to moving overseas and entering combat. The flying personnel spent most of October in transition training with the B-24, training combat crews as well. Meanwhile, the ground echelon was acquiring, organizing and processing personnel and supplies at Wendover Field. With the training complete and the personnel and supplies processed, the 308th Bomb Group and the 375th BS officially transferred to Fourteenth Air Force in China early in 1943. 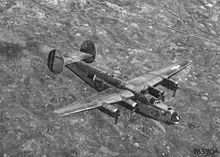 The air echelon began flying its 'brand new' B-24D Liberators from Morrison Field, Florida on 15 February 1943. Traveling by way of the South Atlantic Transport Route though Central and South America, the Azores, Central Africa, Arabia and finally India; while the ground echelon traveled by ship across the Pacific Ocean. The squadron arrived in India and made many trips over the 'Hump' between India and China to obtain gasoline, bombs, spare parts, and other items they needed to prepare for and sustain their combat operations. The 375th supported Chinese ground forces; attacked airfields, coal yards, docks, oil refineries and fuel dumps in French Indochina; mined rivers and ports; bombed maintenance shops and docks at Rangoon, Burma; attacked Japanese shipping in the East China Sea, Formosa Straits, South China Sea and Gulf of Tonkin. Reactivated in Alaska in 1947 as a Strategic Air Command weather reconnaissance squadron. Gathering weather information for combat readiness was an integrated part of strategic aerial reconnaissance. Weather recon, though, was a particularly loose term. There was a constant need for weather information, but weather flights were also a convenient cover for the more covert missions with RB-29 Superfortress photo-reconnaissance aircraft over the eastern frontier of the Soviet Union. Inactivated in February 1951. Reactivated a few months later in October with new B-47E Stratojet swept-wing medium bombers, capable of flying at high subsonic speeds and primarily designed for penetrating the airspace of the Soviet Union. In the early late 1950s, the B-47 was considered to be reaching obsolescence, and was being phased out of SAC's strategic arsenal. B-47s began being sent to AMARC at Davis-Monthan in July 1959 and the squadron went non-operational. Was inactivated on 25 June 1961. Redesignated 375th Reconnaissance Squadron (Very Long Range, Weather) on 16 September 1947. Discontinued, and inactivated, on 25 June 1961.